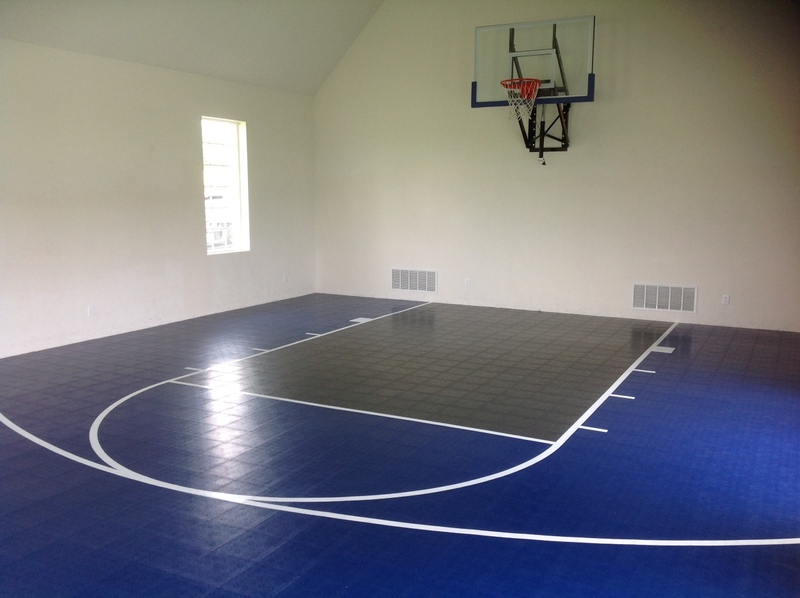 The luxury of an in-home gym is one that more and more people are taking advantage of these days, and Supreme Sports's indoor multi-sport flooring provides the perfect setting for your in-home workout. Superior action, support, and safety translate into a workout environment in which optimum performance and results are instantly made more attainable. Supreme Sports's gym flooring is made from our exclusive material. A state-of-the-art modular wood laminate aerobics flooring, it features the dual advantages of being tougher and more durable than traditional hardwood floors, yet more forgiving and less stressful on the body. Part of its low maintenance appeal is that it is unaffected by moisture due to our unique arched wall support structure, meaning there is no risk of mildew or bacterial build-up. Best of all it has the lowest installation cost of any floor system, providing an alternative to expensive hardwood floors and consistently yielding the highest performance-to-price ratio in its class. Our sports tile surface was designed specifically to reduce stress and fatigue and to absorb impact, preventing injuries and soreness and encouraging you to stay active while enjoying and improving in the games you love. And due to its excellent wet/dry co-efficient friction, it's a safer floor to plant, cut, and explode on regardless of the surface conditions. Such conditions promise maximum performance regardless of age, shape, or athletic ability. One of the wonderful advantages of an in-home gym is the opportunity to create a space customized to maximize your personal tastes and needs. Supreme Sports offers a multitude of custom designs and color options and will work with you to assure your in-home gym meets and exceeds your personal standards. 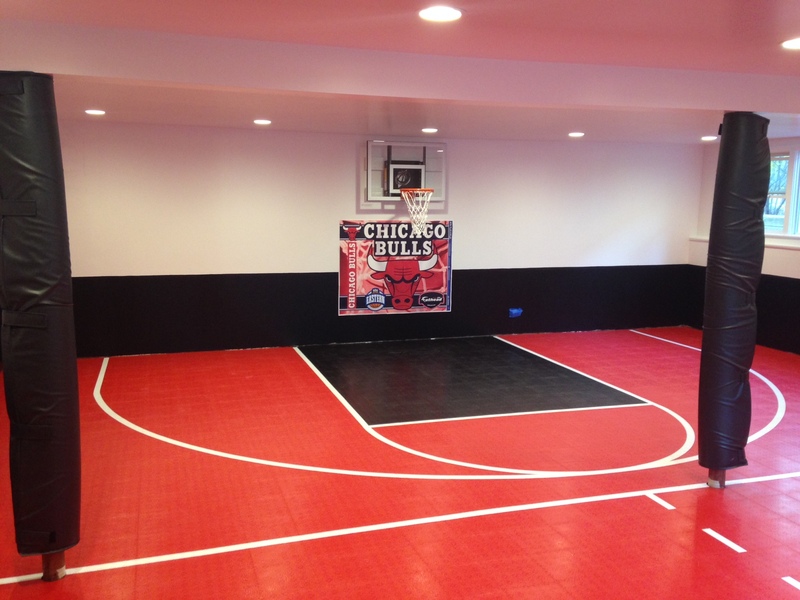 Supreme Sports's Gym flooring comes with a 10 year Manufacturer's Warranty, ensuring the pursuit of the games you love in the comfort of your own home will remain on a solid foundation.